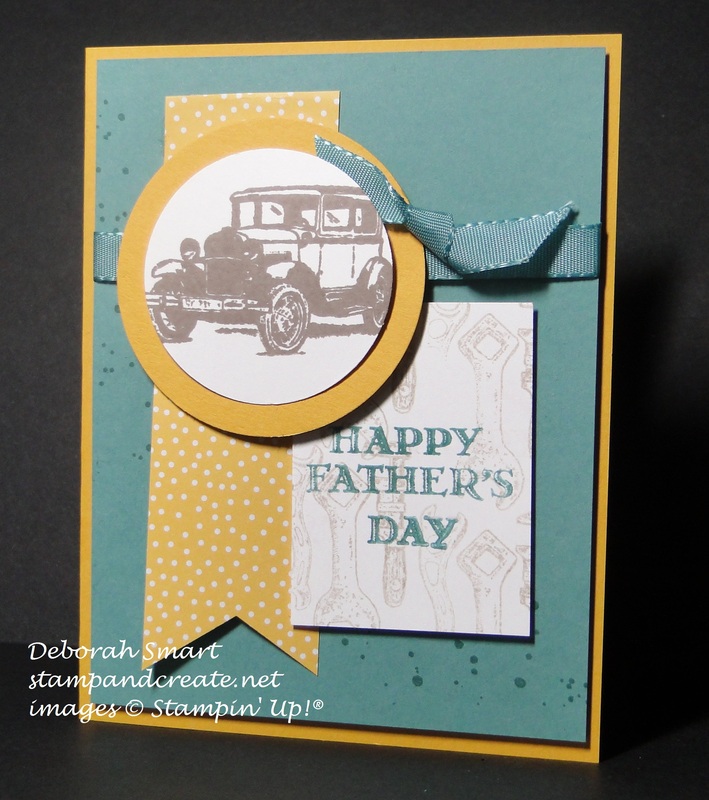 Welcome back stamping friends, to another sketch challenge with the Paper Craft Crew! 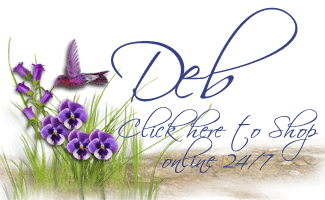 I know I’ve said it before, but I’m gonna say it again – I am loving this Guy Greetings stamp set, and the use I am getting from it! It is one of those sets that I know I’ll be keeping, even after it retires (that is, if I haven’t worn out the images!). I started with a card base of Crushed Curry cardstock, then layered a panel of Lost Lagoon on top. I used the Gorgeous Grunge stamp set to add some splatters in Lost Lagoon ink, then added my piece of DSP from the Cherry on Top stack, after using the Banner Triple Punch to make the ‘tails’ on one end. I stamped the tools image several times in Crumb Cake ink, stamping off once each time to keep the image light, then stamped over that with the sentiment in Lost Lagoon ink. The car image was stamped in Soft Suede ink; I wanted it to be more of a focal point than the tools, so I kept this ink full strength. Before layering the circles and sentiment, I wrapped a piece of retired Lost Lagoon ribbon across the DSP, and added a knot. This card came together quickly & easily, but with enough touches to make it personalized for a Dad who loves cars and tools (like mine!). 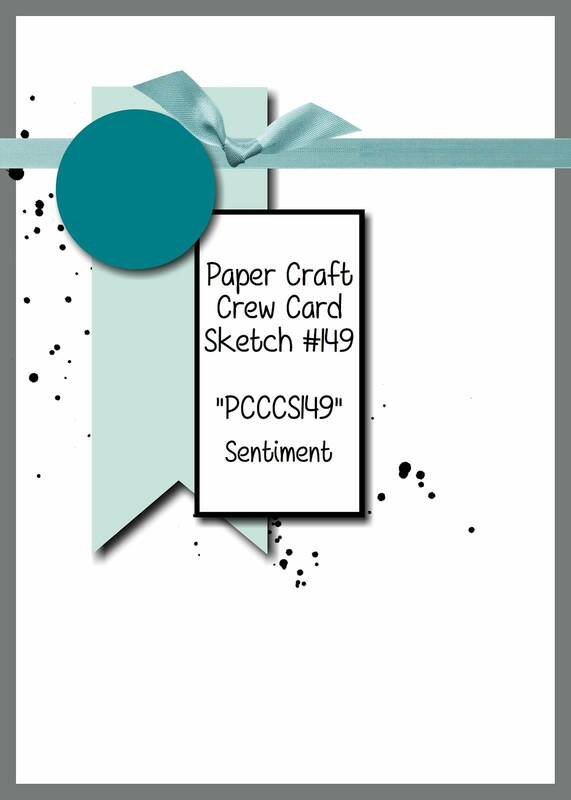 I hope you enjoyed seeing my contribution for the Design Team; I hope you’ll check out the awesome cards the other design team members came up with on the Paper Craft Crew page, and play along with us! Previous Previous post: Brides & Babies card class fun!